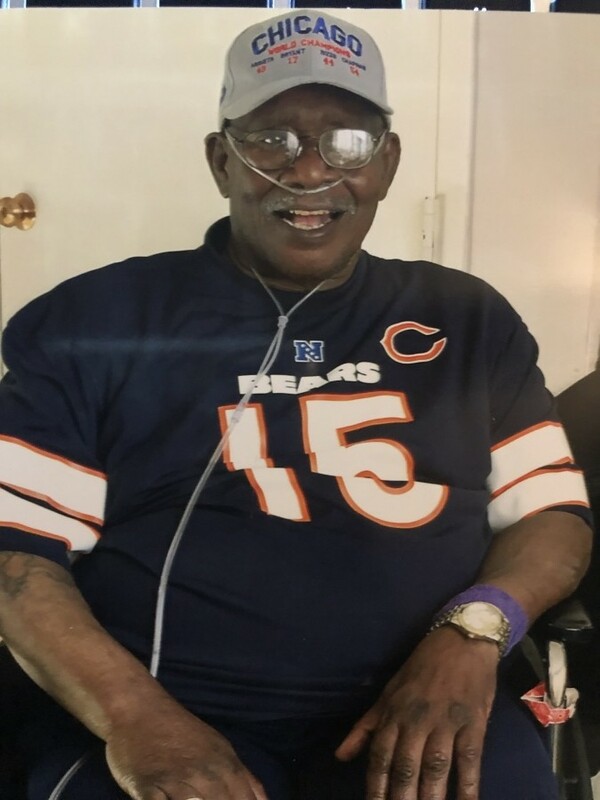 God saw that Adrian C. Whitlow was getting tired and knew he wanted to come on home to Walk around Heaven, and gave him his eternal rest on Sunday, Nov. 18, 2018, at La Porte Hospital, with his loving family by his side, under the very loving watchful care of the I.C. Unit and Nurse Stacie. His Celebration of Life will take place on Saturday, Nov. 24, 2018, at 2 p.m. at Bethel African Methodist Episcopal Church, 629 E. Michigan Blvd., Michigan City, Indiana. Visitation will be from 1 p.m. until time of service at the church. Pastor Charlene E. Arrington-Moore will be officiating. Adrian, affectionately called Jimbo or Jimbalaya, was born to Odessa Woodard Whitlow and Roderick R. Whitlow, on Sept. 29, 1953, in Michigan City, Indiana. Adrian was the baby, of six children to this union, with siblings of Cheryle Whitlow Spicer, Theresa Whitlow Pollard, Frances Whitlow Leggett, Michael Whitlow and Clark “Corky” Whitlow. Jim was also the step-brother of Roderick (Ricky), Keith, Larry and Billy Whitlow. Adrian was given his nicknames by family and friends. Jim was the father of Adrian Whitlow, Jr., of South Bend, Indiana; the grandfather of two, Raheem Whitlow and Asia Whitlow, South Bend, Indiana; and great-grandfather of three. Jim enjoyed life to the fullest, always joking with his friends and flirting with the ladies! Once introduced to Jim, you were never a stranger again. Jim was good with his hands at construction and cooking. He also loved to play pool. Back in his “hay day,” Jimbo truly enjoyed being with his cool friends, Leonard “Range” Frierson, Mamon “Stang” Trotter, Minister Earl “Rabbit” Robinson and Steve Thomas. Preceding Jim in transition were his mother and father and grandparents. Adrian “Jimbo” Whitlow leaves to cherish his precious memories, his sisters, Cheryle Spicer of Houston, Texas, Theresa Pollard of Minneapolis, Minnesota; special sister and care-giver Frances Leggett and brother-in-law, Ralph Leggett of Michigan City, Indiana; brothers Michael Whitlow of Houston, Texas, and Clark “Corky” Whitlow of Mineapolis, Minnesota, Ricky Whitlow of Atlanta, Georgia, Keith & Larry Whitlow of Michigan City, Indiana, and Billy Whitlow of Florida; in addtion to numerous nieces, nephews, and cousins, as well as special friends Jean Laster and her daughter Dionysia Tyson of South Bend, Indiana, Valerie Matthews of Michigan City, Indiana, and his care-givers and friends at the Golden Living Nursing Home, La Porte, Indiana.